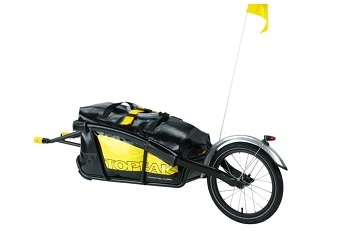 Innovation and passion is at the heart of everything Topeak makes. Since it was established in 1991, the brand has grown to be at the forefront of the bicycle accessories and tools market, creating a wide selection of products and accessories that include tools, bike pumps and bike bottle holders, bike storage solutions, panniers and bags and smartphone and tablet mounts. On the Addnature.co.uk website, there is a comprehensive range of Topeak pumps, bike cases and other products that are designed to boost your ride, elevate your performance and provide additional security when you are out on the open road. Topeak is an award-winning bicycle accessory manufacturer that has been pioneering product lines for years to help cyclists get the most out of their ride. Its own product developers are passionate cyclists who understand what is missing from the market from their own experience and therefore develop ideas for products and innovations based on what cyclists really need. The product portfolio ranges from tool kits to wheel pumps, bottle holder brackets, child seats and a wide range of different storage solutions. All Topeak products are designed and manufactured with what the cyclist really needs in mind. Topeak is now known for being one of Taiwan’s most successful companies and is renowned for being a brand that continuously brings new solutions to the bike industry, all the while with a focus on integrating the latest technological innovations. Topeak seeks to bring new products on the market that are lightweight, robust and durable and that are driven by the needs of cyclists as well as the desire to create the best bike experience for its customers. The brand has received international recognition for its product design and implementation of ground-breaking technology.